The Best Highway Safety Practices Institute is a 501(c)(3) nonprofit organization dedicated to advancing best highway safety practices. 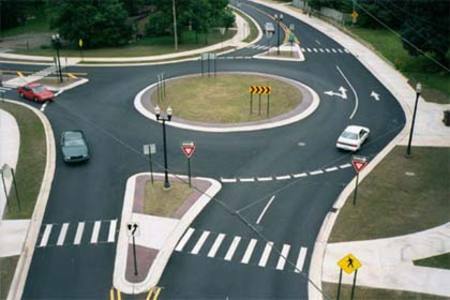 The Institute was founded in 2004, in Portland, Oregon by professionals who specialize in highway safety issues. Best Practice is defined by those practices that have been verified by field research and are peer reviewed before adoption. The Institute focuses on education, research, best practices and their application, and assuring public policy is founded in best practice. The Institute uses a multidisciplinary approach to highway safety involving professionals from academia, engineering, law enforcement, public law and policy, human factors and research science. The Institute performs its own research and monitor the research of other groups, institutes and agencies and present to the professional and public policy communities its findings. Because highway safety research is shared internationally, the Institute is creating an informational forum, database and resource directory accessible through the Internet for use by all - academia, engineers, law enforcement, law practitioners and policy makers, researchers and the public. The Institute assists both individuals and groups to assure that best practices are the sum and substance of public policy. The Institute provides professional training for persons working in highway safety and ongoing professional development through an advisory board, policy forums, recommended best practice directory and conferences. Because of the ever-growing interest in highway safety by the public, the Institute provides professionals, policymakers, the press and the public with empirical data, findings, recommended practice and resources for guidance and to assist in advancing best practices.